Clear aligners are an effective alternative to traditional braces because they use a system of clear, removable trays used to straighten teeth. Each aligner is custom-made to fit over your teeth and is designed to gradually move teeth into their proper position. Using clear aligners for orthodontic treatment is not for everyone. The best way to find out if clear aligners are the right option for you is to schedule a consultation with your dentist. It is used as an alternative to traditional braces and are designed to help guide teeth into proper position. Just like braces, clear aligners use gradual force to control tooth movement, but without any metal wires or brackets. The aligners are made with a strong plastic material that has been fabricated to fit your mouth. As treatment progresses you switch aligners. Each aligner is a little different, so your teeth move a little more with every change. It is a great alternative for patients who want a straighter smile but do not want to wear metal braces, or for patients who have had treatment in the past and want to make minor corrections to their smile. There are several advantages to orthodontic treatment with clear aligners. It is easier to keep clean, making it easier to maintain the health of your teeth and gums. These are comfortable and less likely to irritate your gums and cheeks. Aligners prevent wear on the teeth from tooth grinding. All are removable, so it’s easier for you to brush and floss after meals. If you’re interested in clear aligners, schedule an appointment and talk to your dentist about whether this is the right treatment option for you. 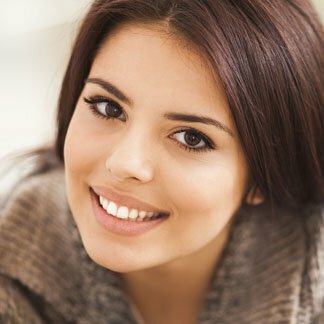 Scheduling a consultation is your first step toward achieving the beautiful smile you’ve always wanted.